I got some lemongrass. I also got a beautiful white fish filet. So, I made lemongrass steamed fish, with my donabe steamer, "Mushi Nabe". I first marinated the fish in nam pla (Asian fish sauce), Chinese rice wine, and agave syrup with ginger, garlic, and sliced lemongrass for a few hours. (30 minutes is good enough, but I did prep work early that day.) 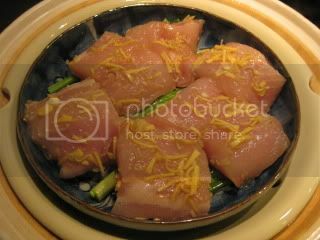 Fish filets were then arranged in a shallow plate on top of green onions, then put in the donabe steamer. 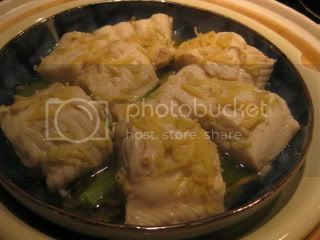 In about 10 minutes, very aromatic steamed lemongrass fish was ready. 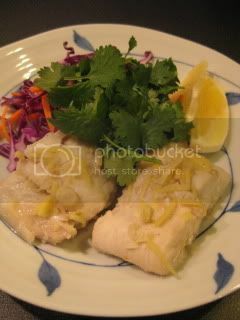 Fish was served with shredded red cabbage & carrot, cilantro, and lemon wedges. I also made some Thai-style chili sauce, but to be honest, the fish was so great just with the "au jus" (juice released from the marinated fish in the plate). So, next time, I won't need to make any sauce. The fish was so tender and filled with wonderful flavors. I loved it so much! 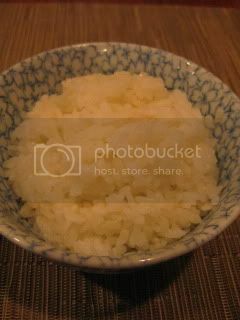 I've posted the recipe on toiro's website. So, please check it out. 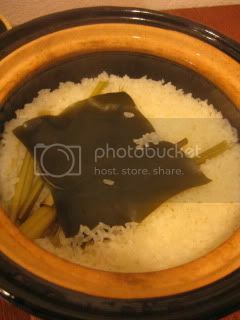 By using the leftover lemongrass (since only the inner bottom part was used for the steamed fish) and dashi kombu (also a leftover from making dashi stock), I cooked rice with double-lid donabe rice cooker, "Kamado-san". The rice was infused with the wonderful lemongrass aroma and it was really great with the steamed fish. What a wonderful donabe dinner.